Over the years, I have had the privilege of documenting many aspects of celebrated designer Bunny Williams‘ talents. And while Susanna and I have shared several video visits with Bunny, we have never visited her inside her beautiful Greek Revival home, immortalized in her first book, An Affair with a House. 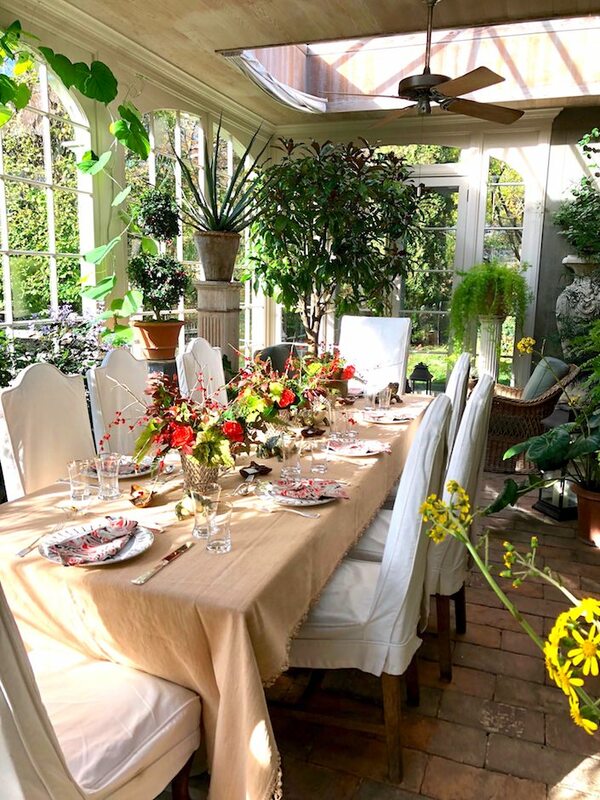 So we are especially delighted for you to tag along with us now at home in Connecticut with Bunny Williams! 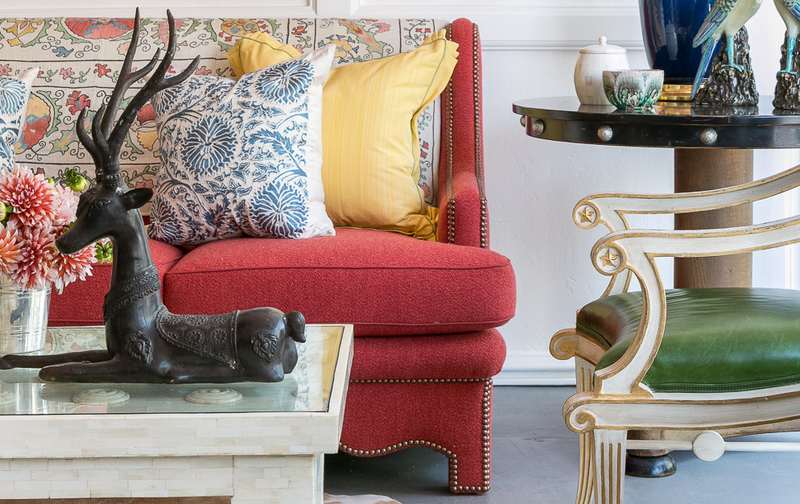 From her designs to products (Bunny Williams Home is celebrating 10 inspiring years!) 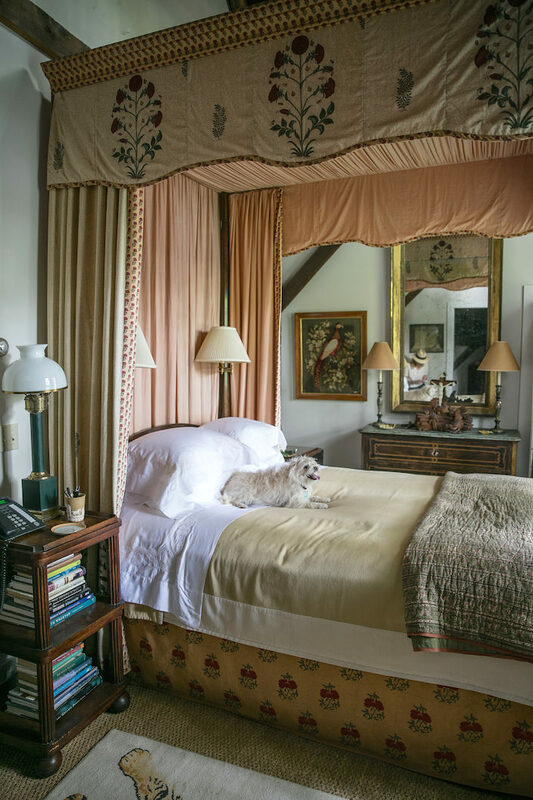 to books, Bunny’s world is one of comfort, gracious living and effortless style. And while she has had a long and distinguished career, she never rests on her laurels and is always moving forward with curiosity and enthusiasm. One of Susanna Salk’s and my early videos captured Bunny behind the scenes at her iconic pool house. and how she entertains with ease and style. So thank you Bunny – it’s an honor to share your inspiring world! A big thank you to video sponsor Allison Caccoma, who shares a very special connection with Bunny Williams. 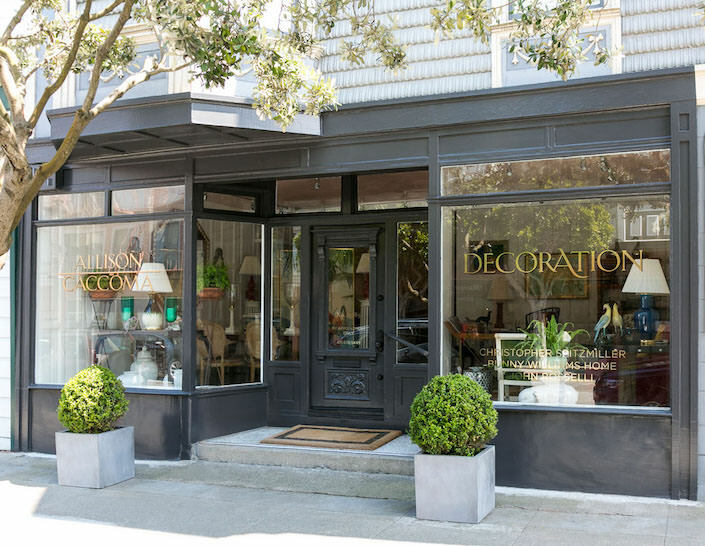 This San Francisco-based designer worked for the legendary decorator for seven years in New York before moving out west to open her own eponymous shop a little over a year ago. 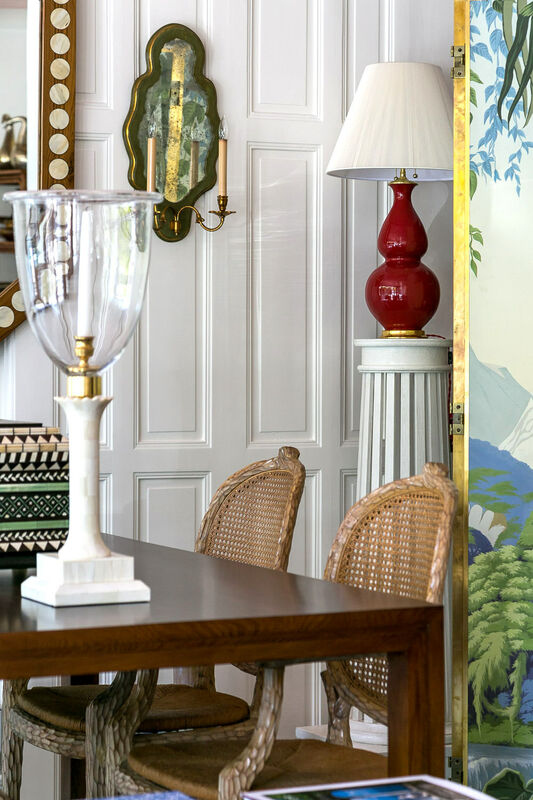 “When I moved here there was no other thought in my mind than to bring everything that inspired me most about East Coast design to the West,” says Caccoma, who once worked on Wall Street before pursuing her true passion. 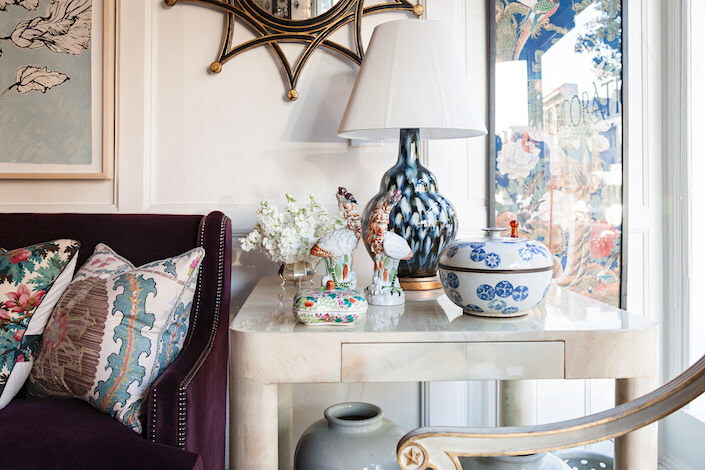 And along with carrying Bunny Williams Home products, lucky customers can also find Christopher Spitzmiller’s iconic bespoke lamps for sale along with unique items from John Rosselli, such as beautiful bone and glass hurricanes, garden seats and chic mirrors. And then there are the vintage pieces adding to the shop’s marvelous mix. Thank you Allison – Susanna and I can’t to visit next month! This entry posted in architecture, art, At Home with, In the Studio with, interior design, Quintessence video series, video. Entry Tags: Allison Caccoma, At Home with, Bunny Williams, Decoration, house tour, interior design, Video Bookmark the permalink. 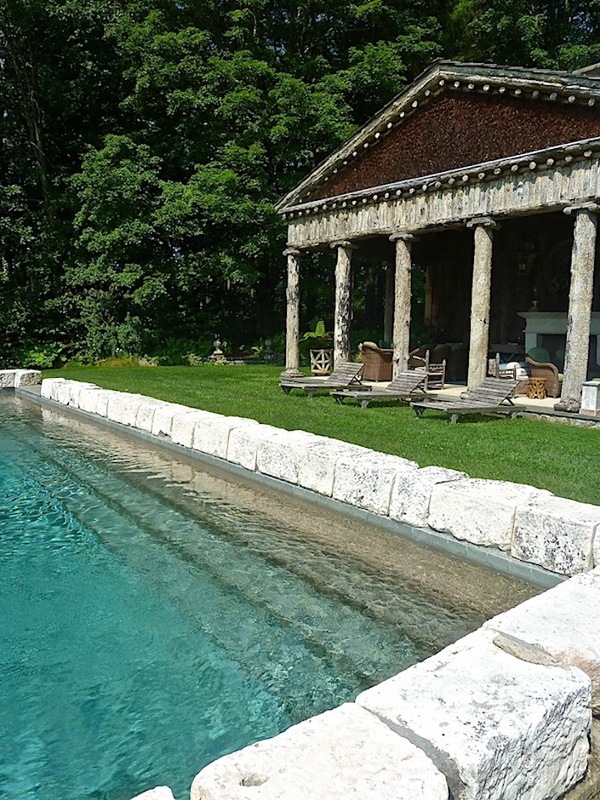 Oh, that pool and pool house! Devine! I must say, I really did like the intimate feeling of the previous dining room with the green striped wallpaper. 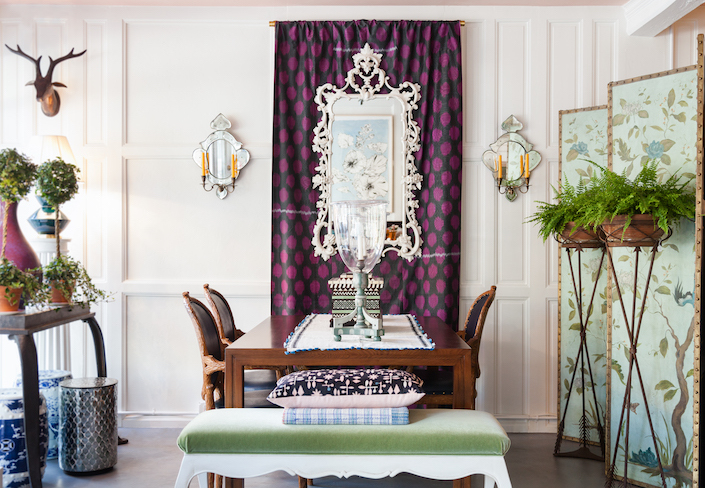 LOVE all Bunny Williams work !….& now she is selling her Beautiful NYC Apt. I Like to know if Williams is selling her NYC Furniture ? I want to visit Allison Coccoma’s Shop ! Looks Wonderful ! While I have read and reread Bumnys book a million times (at least!!! Lol) I have never noticed the mantel antiques in brown. What a lesson today!!! They are wonderful and so perfect together although the six don’t match. Loved this so much. Y’all are the best. Thanks !!!!! Wow! It’s finally here. I cannot think of someone who so beautifully captures an equally laid back and elegant American aesthetic as well as her. I actually just purchased The Book for myself for my birthday and am beyond mesmerized. Thank you for this wonderful look inside a home many of us have spent hours enjoying in 2D and now can fully enjoy in 3D with the master herself! It’s looks like the dog is living a life of luxury. Then again by the look of these photos this is one amazing house. Your photos are also extremely unique and sharp. Are you a professional photographer? 83 queries in 0.851 seconds.